View the 2018-2019 Academic Calendar here. 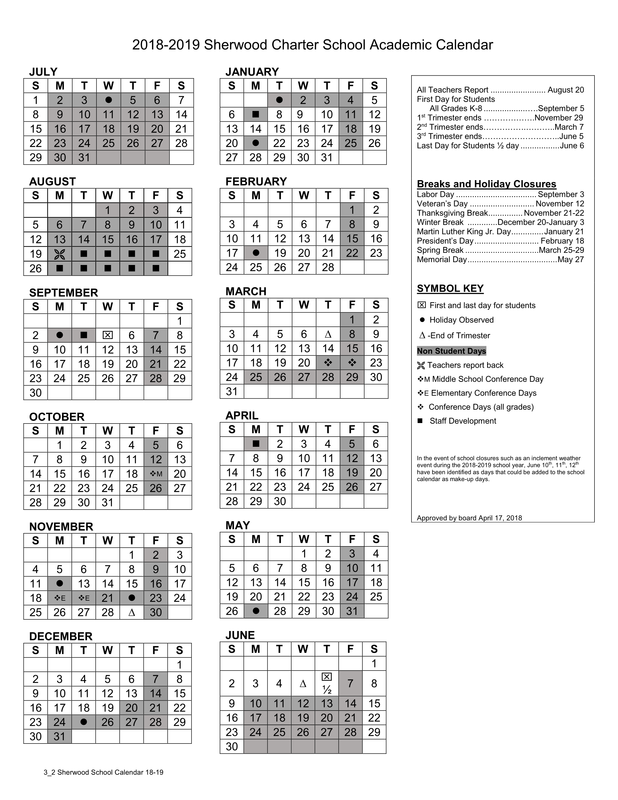 Download the academic school calendar to view dates for when school is in session and closure dates for holidays – this calendar is approved by the school board every year. 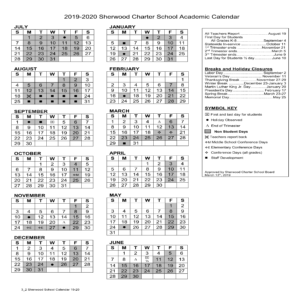 View the Sherwood Charter School Events Calendar here. Click here to view our school event calendar, which contains more specific upcoming events as well as event details (ie: free dress days, book fair events, etc.) We will be updating this calendar throughout the year.